iMoney secures RM13m in investment from iSelect | Intelligent Money Sdn. Bhd. 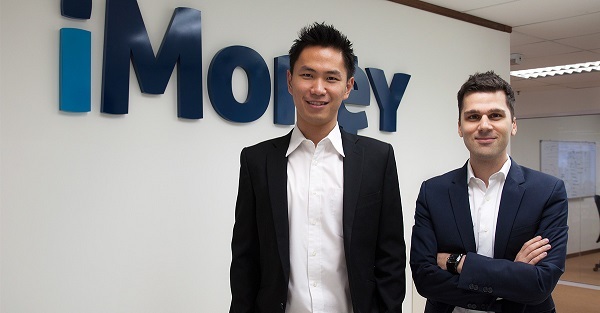 Kuala Lumpur, 25 September 2014 – iMoney Group (“iMoney”), South East Asia’s largest financial services comparison service, today announced it has raised approximately RM13 million (USD$4.0 million*) from iSelect Limited, ASX: ISU (“iSelect”), Australia’s leading online comparison service. The RM13 million in funds raised will mainly be used to further accelerate growth, bolster its management team as well as product and technology investment. A large portion of the new capital will also be reserved for investment into iMoney’s regional subsidiaries in Singapore, Indonesia and Philippines. iMoney aims to triple its web traffic to 5.0 million unique visitors a month by next year across the South East Asia region. In the last 8 months of this year alone, iMoney had already enjoyed a significant five-fold growth to approximately 1.5 million unique visitors a month. iSelect is Australia’s leading online comparison service, providing Australian consumers with trusted product comparison and advice on more than 12,500 insurance, energy, personal finance and broadband products from over 85 partner providers. With a household brand that attracts over 7 million unique visitors to its website every year, iSelect now distributes 1 in 5 of all private health insurance policies in Australia. Owing to its digitally enabled and customer-centric advice model, iSelect continues to grow its market-leading position in health insurance, energy, life insurance and personal finance comparison. iMoney Group currently generates approximately 1.5 million unique visitors a month, up 500% from January 2014. It is the number 1 personal finance comparison service in Malaysia, Indonesia and Philippines (as measured by traffic via competitive intelligence tool, SimilarWeb PRO). Over the last year alone, iMoney has originated USD1.2 billion in home loans, 65,000 credit card and personal loan applications and now works with more than 50 financial institutions across 6 countries (Malaysia, Indonesia, the Philippines, Thailand, Singapore and Hong Kong). Established in 2012, iMoney is currently the number 1 personal finance comparison service in Malaysia, Indonesia and Philippines. Visitors are able to compare and apply for a range of everyday financial services products such as home loans, credit cards, personal loans and insurance. The application can be done online or via a telephone call with an advisor. * Based on USD1=RM3.23 exchange rate as of 22 Sept 2014. © 2019 Intelligent Money Sdn. Bhd.. All rights reserved.